THURCASTON, England - Sept. 9, 2015 - PRLog -- Destination wedding website MarryAbroad.co.uk this month re-launches as a membership organisation for worldwide wedding industry professionals; planners, hotels and wedding venues, looking to attract UK couples. The info site will offer their members B2B services, to help members offer the best possible service to UK couples. 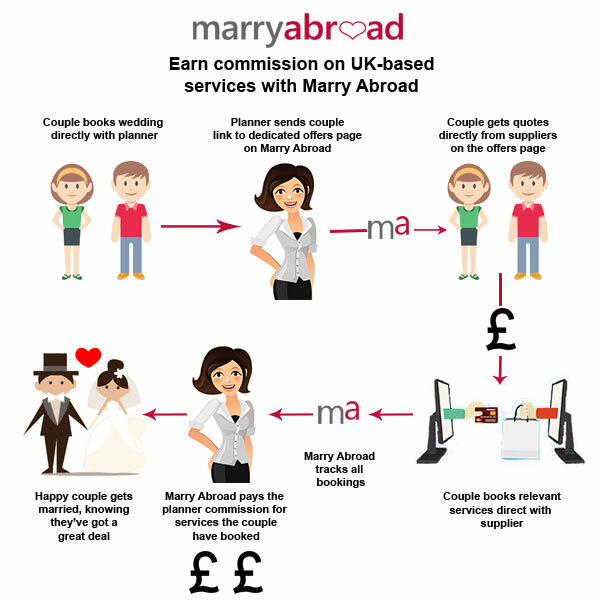 MarryAbroad’s services will act as ‘add-on’s to members’ existing wedding packages – i.e. extra business services to help boost revenue. MarryAbroad offers a choice of membership advertorial packages, plus, once members sign up they can offer their wedding clients MarryAbroad's marriage document translation and foreign exchange services, with further services to be added regularly. MarryAbroad says offering these extra services, which address needs perhaps previously met by separate UK firms and agencies, will enable worldwide wedding professionals to benefit from all aspects of a UK couple's wedding requirements. MarryAbroad also guarantees members will be working with reputable companies with many years of experience in their fields, to ensure confidence in the bride and groom. Steph Bishop, Co-Founder of http://www.MarryAbroad.co.uk states: “The simple addition of offering document translation, which is very often needed when couples choose an overseas ceremony, plus the changing of money, can earn planners thousands in extra annual revenue, depending on their location and the amount of weddings they plan per year. More services will be added this autumn for MarryAbroad members. Membership starts from £200 and there are four advertorial packages from which to choose. MarryAbroad will be at the National Wedding Show, Olympia, London, stand D42 , Sept 25-27.